Scotland have been celebrating after Glasgow Airport has been named one of Europe’s fastest growing airports in August 2015, with more Brits flying through its doors than ever before. Given the title by the European trade body ACI Europe, the airport was found to be the fourth fastest growing in its class during August, with the number of passengers increasing by 12.2%. 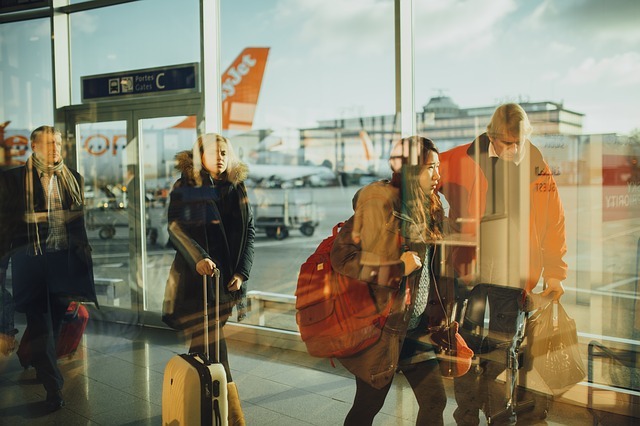 ACI Europe groups airports in their report based on the number of passengers it welcomes, with Glasgow Airport finding itself in group three after seeing 5-10 million travellers. In fact, the airport reported that this was its 30th consecutive month of growth in August after a staggering 878,515 travellers made their way to its doors. The month of August has actually since been named a “bumper summer season” for the airport, leading to 2015 being its busiest year, with more than three million Brits flying through its terminals during June, July and August 2015. Meanwhile, Glasgow Airport also noted it’s witnessed a double digit percentage growth since just November last year. August’s ACI Europe Airport Traffic Report includes a total of 217 airports, meaning it represents 88% of all European air passenger traffic. Oliver Jankovec, Director General at ACI Europe, said that with the summer months ending, it’s clear to see it has been a successful few months for Europe’s airports, with Glasgow experiencing some of the best results. With the oil prices remaining stagnant over the next few months, the numbers of passengers flying abroad are set to remain quite high, he added. Are you thinking of travelling abroad from Glasgow this year? Don’t forget to book your budget travel insurance in advance.